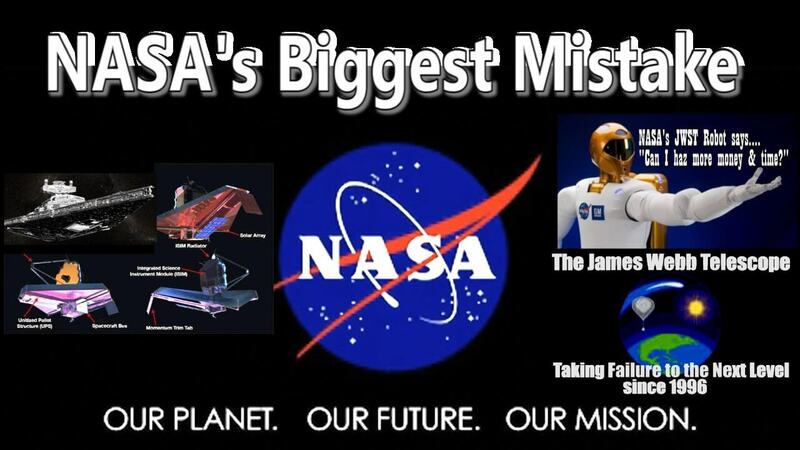 Home » Who Should Pay for the Mistakes on NASA’s Next Big Telescope? The James Webb Space Telescope, nasa’s next big astronomy mission, has been in the works for two decades. When the concept was first proposed in 1996 as the successor to the famed Hubble Space Telescope, scientists estimated it would cost $500 million and fly by 2007. But as scientists worked on the telescope’s design, the world around them began to change. Astronomers were making exhilarating discoveries about the cosmos, and engineers were inventing the technology needed to study them. Webb’s stewards believed the telescope could do more than originally envisioned, so they expanded its parameters. As the years passed and the scope of the mission swelled, so did the cost. By the start of this year, Webb had a price tag of $8.8 billion and a launch date of spring 2019. Most of the telescope—its gold-plated mirrors and scientific instruments—had been completed and tested. But there was trouble with the tennis-court-sized shield that’s supposed to protect it from the heat of the sun, and with the spacecraft that will house the observatory’s various systems. It was enough trouble that last month, nasa officials made a disappointing announcement: Webb would be delayed, again, this time to spring 2021. And it’s would be even more expensive. NASA Closes Chamber A Door to Commence Webb Telescope Testing Chamber A’s sealed, vault-like door towers over engineers at NASA’s Johnson Space Center in Houston. Instead of $8.8 billion, the total lifetime cost of the telescope—which includes development, launch, and five years of operation—would come to $9.66 billion, officials said. The new total meant that Webb had breached a cap set by Congress in 2011, when lawmakers had begun to worry in earnest about the mission’s ballooning costs. Now if Webb wants to leave Earth, it needs Congress to approve an extra $800 million for the mission. Webb is expected to get the money. Even the stingiest politicians recognize that you can’t cancel a mission that has already swallowed more than $8 billion in taxpayer dollars. But lawmakers aren’t thrilled, and some of them are wondering whether it shouldn’t be their constituents who pick up the tab. Maybe, they say, it should be the spacecraft manufacturer that has contributed to most of these delays: Northrop Grumman, a longtime nasa contractor. These mistakes alone resulted in a schedule delay of about 1.5 years and $600 million. Northrop Grumman will spend the summer recovering from these errors, under increased oversight from nasa. Northrop Grumman has a so-called cost-plus contract with nasa for Webb, which means the space agency assumes the risk of overruns. (Such contracts are the norm for large, unproven engineering projects, which are more likely to experience cost overruns. Fixed-cost contracts, in which the contractor assumes the risk, are less desirable for contractors.) Whenever Webb has needed more cash, nasa has coughed up the money, sometimes rerouting it from other missions inside the agency. Bush said Northrop Grumman is willing to make any profit the company earns from Webb contingent on the successful deployment and operation of the telescope in 2021. But perhaps, Smith said, given Northrop Grumman’s performance, it’s time for the company to pitch in. “Would you agree to pay the 800 above cap cost?” Smith asked Bush. “We think that would be the wrong approach,” Bush replied. Officials at the Government Accountability Office, an oversight agency that audits federal programs including nasa missions, criticized the contractor for the mission, the Florida-based Harris Corporation. They said Harris should be put on a proposed watch list of contractors that have exhibited poor performance and shouldn’t be allowed to compete for future nasa contracts. At this week’s House hearing, lawmakers floated the idea of penalizing Northrop Grumman for its performance on Webb by restricting it from bidding for other projects at the space agency. For the most part, large-scale programs like space observatories have received extra cash when they have needed it. And their contractors, even those that made mistakes, made profits. In the 1980s, the contractors for the Hubble mission received millions of dollars in bonuses, even as the telescope launched over time, over budget, and with one glaring mistake: a defect in its primary mirror that blurred its field of view. In 1990, nasa’s inspector general determined that if the space agency had “fully considered the cost overruns, the bonuses may have been reduced by as much as $1 million,” according to a Los Angeles Timesstory at the time. Three years later, the Justice Department threatened the company that built the flawed mirror with a lawsuit. It eventually agreed to pay the government $15 million. If the worst happens with Webb, the federal government could threaten Northrop Grumman with the same. But unlike Hubble, Webb was not designed to be reachable or repairable by astronauts. The space observatory will launch folded into itself and spend two weeks unfurling as it settles into its orbit around the sun. The complicated sequence, a delicate dance of hundreds of tiny maneuvers, is fully automated. The telescope can only sustain a handful of glitches in the process. If the deployment fails, nothing can be done. Webb would become a $9.66-billion piece of space junk. And the debate of money would begin anew—this time about who should pay for the loss of the world’s most powerful space telescope. Ask Ethan: Which Movies Get The Science Of Time Travel Right?